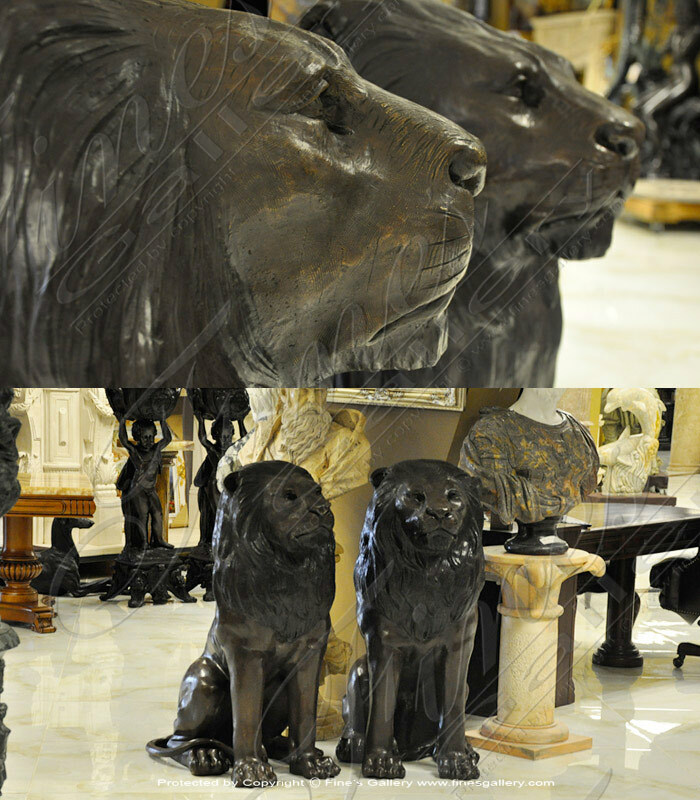 (sold in pairs only) The lion, also known as pathera leo krugeri, are powerful regal animals and masters of their domain. 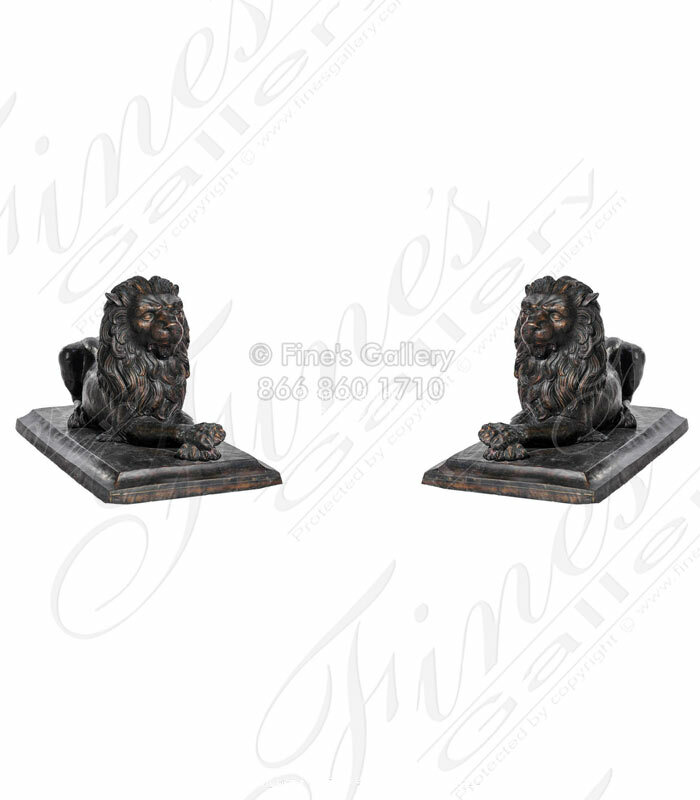 This pair is mounted on top of a sphere representing their world. 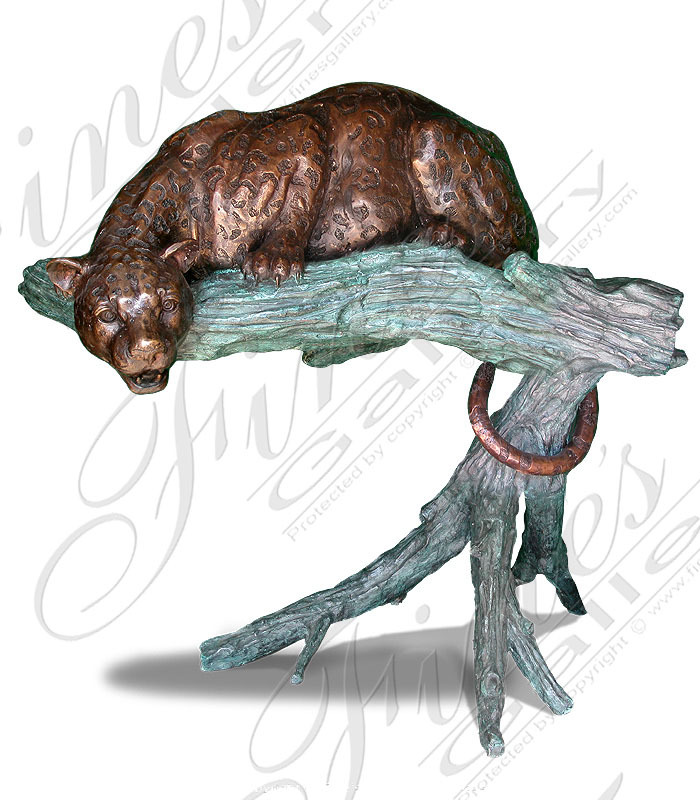 This masterpiece is made of bronze with a patina finish. 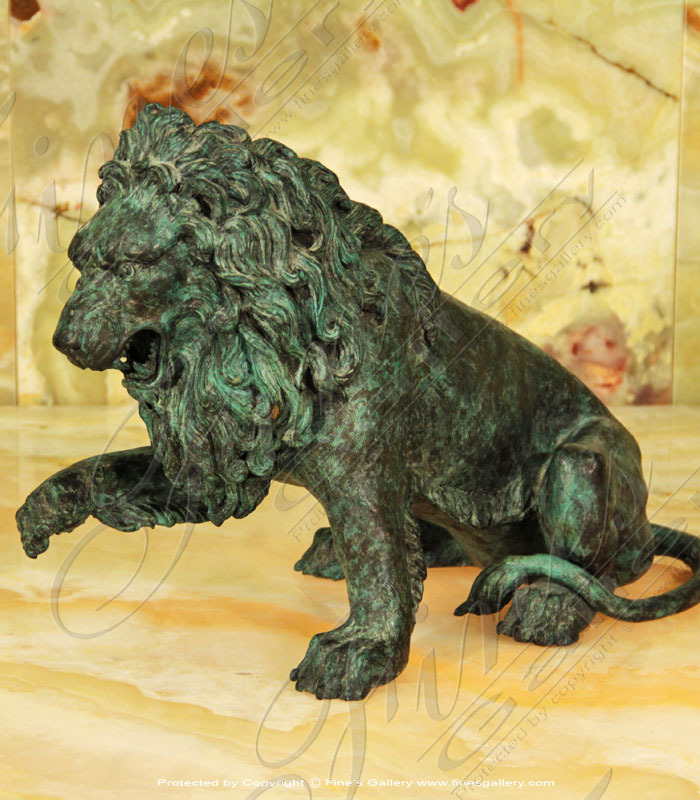 Bronze, finished with patina to enhance the beauty. 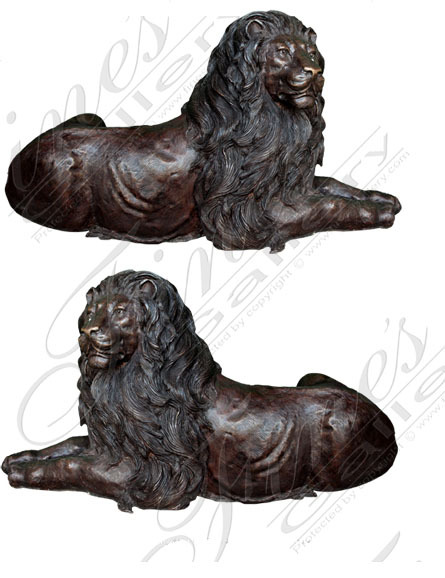 (Sold in pairs only) Bronze enhanced with a patinaadd character and definition to these fine pieces. These majestic creatures bring a larger than life feeling to those who come into their presence. 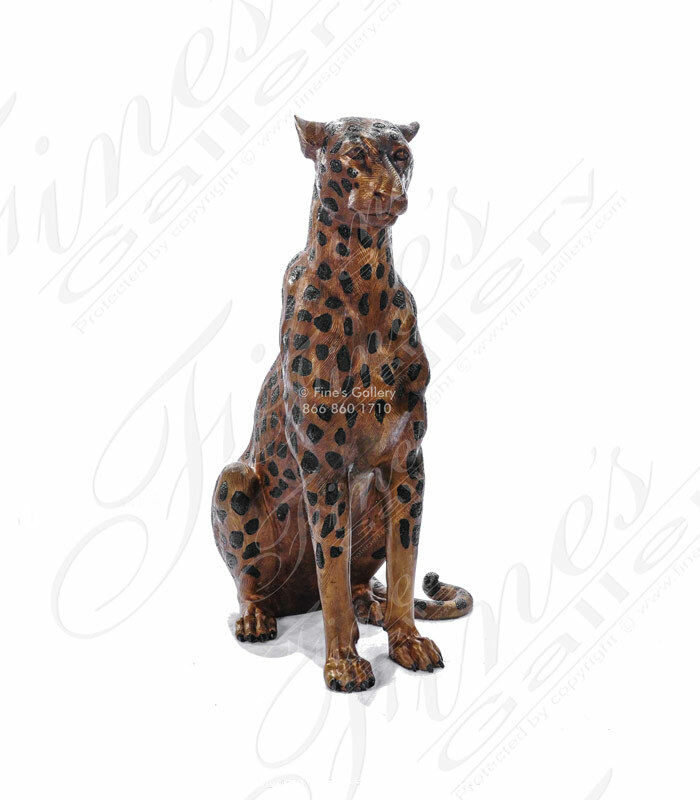 This bronze cheetah statue is crafted with artistic beauty from fine bronze. 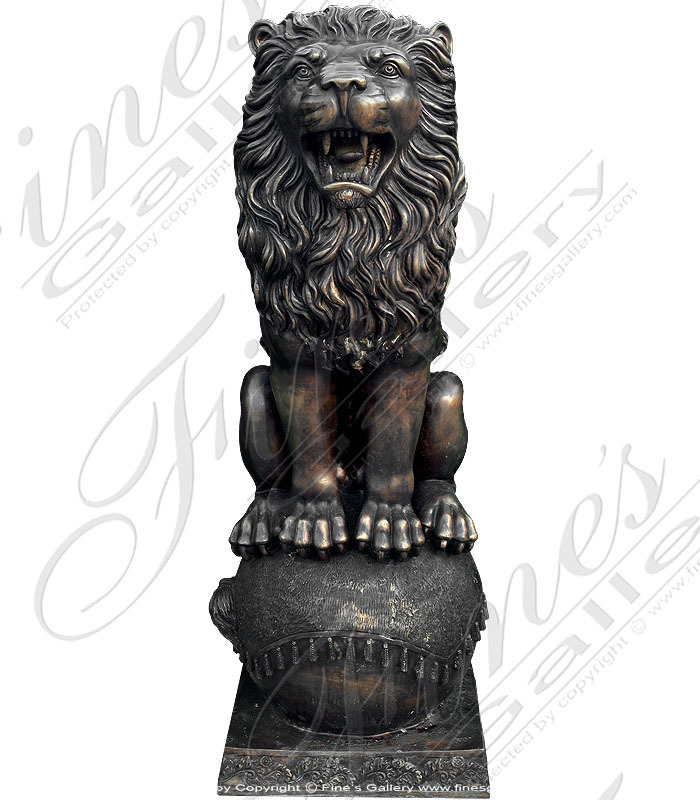 Contact us today for additional information of this artistic decorative item. This exotic piece depicts a leopard sitting vigilantly on a tree limb watching for his next prey to come along, ready at a moments notice to pounce into action. The artist meticulously detailed each movement in the statue to bring it to life. 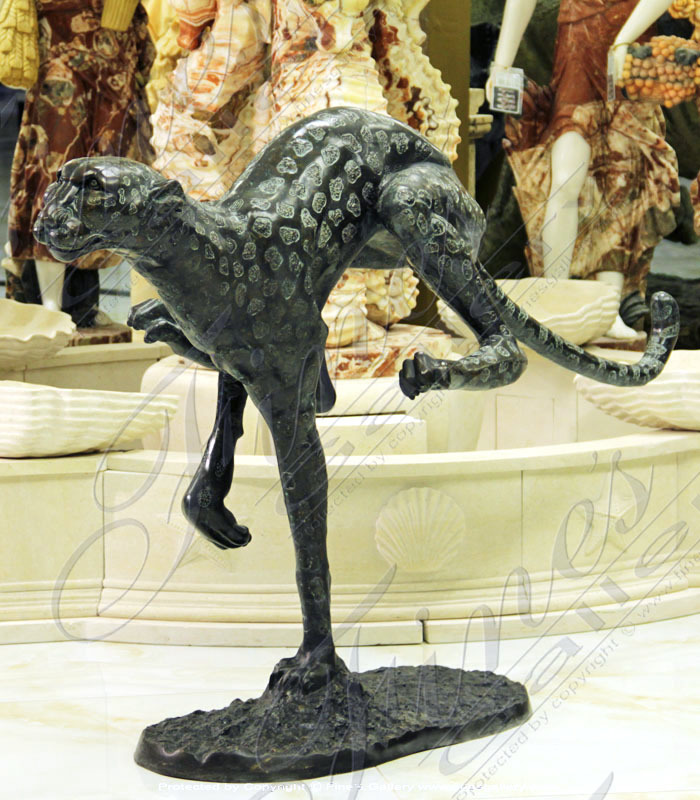 This bronze cheetah sculpture really captures the sense of agility and gracefulness this fascinating animal exhibits while racing across the African plains. 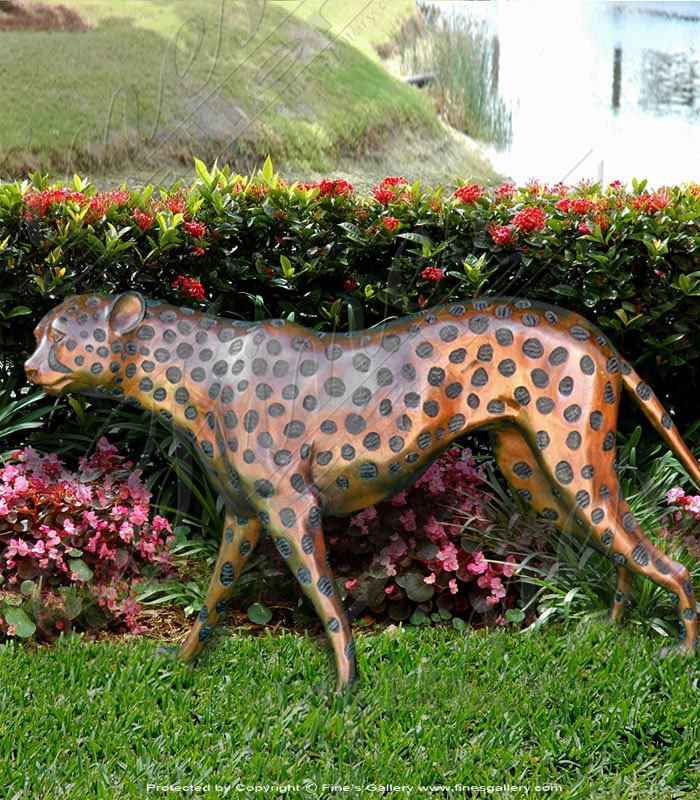 Decorate your yard with the exquisite beautyof this male and femalepair of spotted leopards.Hand carved by ourartists and cast in bronze theseexotic creaturesare finishedin luxurious shiny bronze.The perfect bronze leopard statuary. 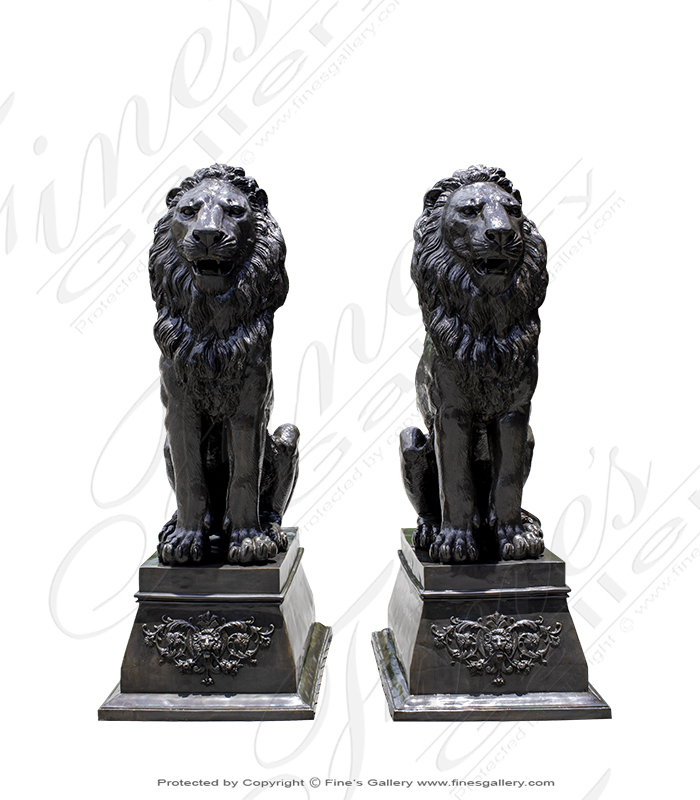 (sold in pairs) These lions portray leadership and courage. They are bold in the face of death and exemplify what the male species should be. They sit perched upon their spheres dominant in every respect. 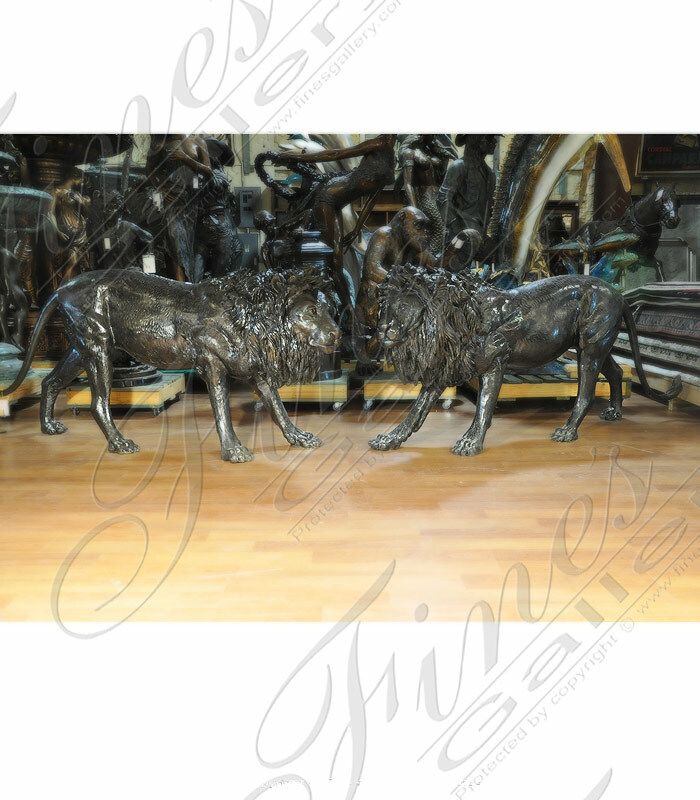 An impressive pair of life size bronze lion statues. These have been hand made by a very talented artist for a very life like look and pose. Contact our sales staff today for more details. 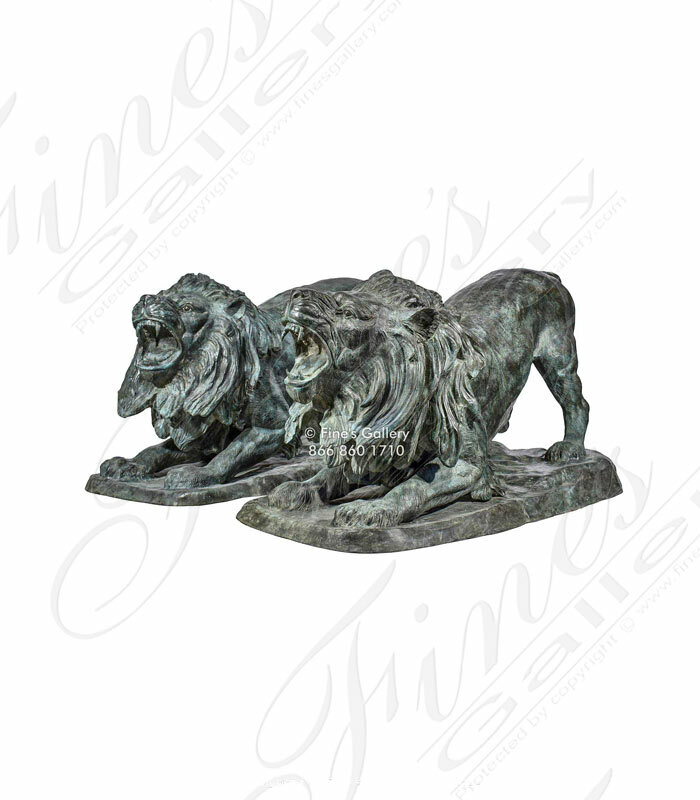 These bronze lion sculptures are sized at just over three feet from head to tail. 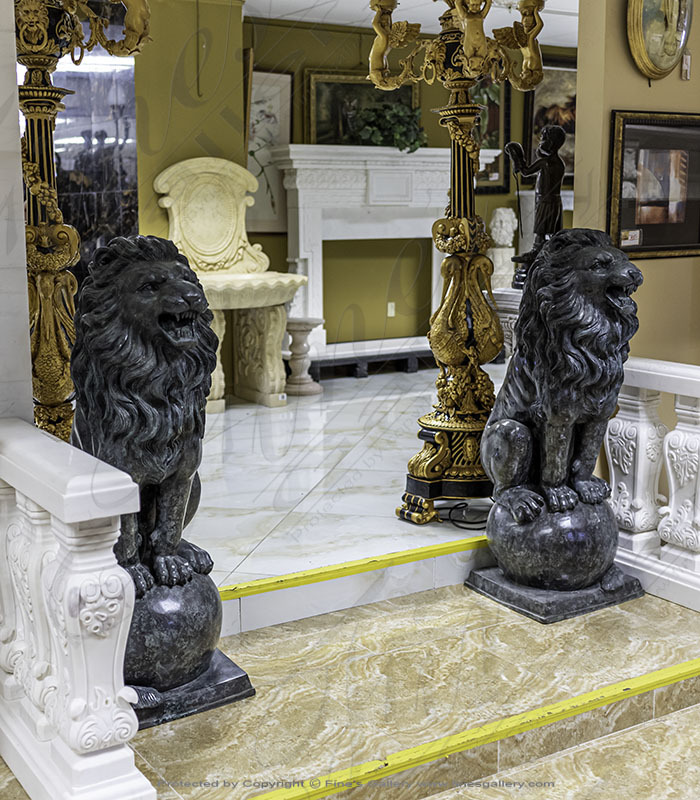 These are ideal for an entrance way or just a garden art. These are hand sculpted and pure bronze!